Is a Fed “Pause” Actually Good for Stocks? 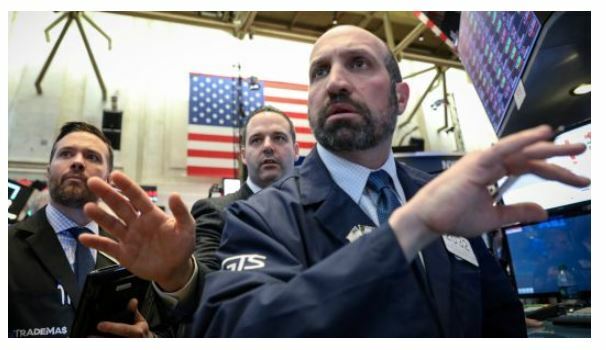 Futures are decidedly higher after Congress reached a deal to avert another government shutdown late yesterday and investors remain optimistic about trade talks between the US and China as negotiations in Beijing continue this week. The NFIB Small Business Optimism Index fell to 101.2 vs. (E) 103 in January underscoring business owners’ uncertain outlook on the economy. Today, there is one economic report: December JOLTS (E: 6.950M) and several Fed speakers to watch: Powell (12:45 p.m. ET), George (5:30 p.m. ET), and Mester (6:30 p.m. ET). As long as Powell does not change his recent narrative when he speaks over the lunch hour, investors will likely remain focused on additional updates regarding the new funding deal lawmakers agreed to late Monday and more importantly, the ongoing trade talks in Beijing. https://sevensreport.com/wp-content/uploads/2019/02/NY-Stock-Exchange-250x200-1.jpg 200 250 Tom Essaye https://sevensreport.com/wp-content/uploads/2019/02/sevens-report-research-logo.png Tom Essaye2019-02-12 10:02:322019-02-12 10:02:32Is a Fed "Pause" Actually Good for Stocks? 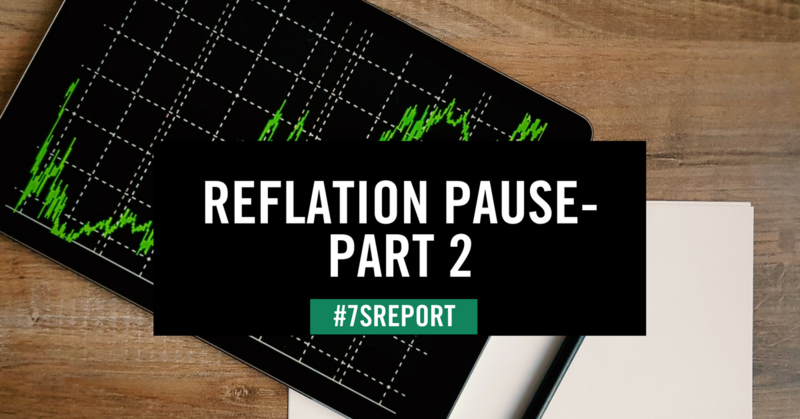 In Wednesday’s Report, we covered why the reflation trade that started again in early September has taken a pause, and the reasons are twofold. pullback in the broad market. Conversely, if either bank expresses doubts about growth or inflation, it could undercut the whole reflation idea that’s propelled stocks higher. 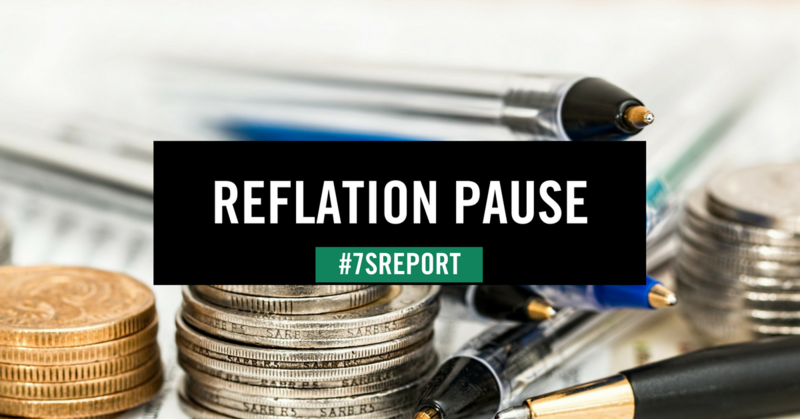 Point being, there are some key events that need to be resolved before the reflation trade can move higher. And, frankly, that makes this 2017 version of the reflation trade unique compared to previous economic reflations, most recently from ‘03-’06. For simplicity, the easiest analogy to describe a normal reflation trade is a beach ball. When a recession occurs, the beach ball (the economy) deflates. But, low interest rates and government stimulus act as an air pump, and eventually the beach ball (economy) reflates. Accelerating economic growth and rising inflation (due to easy money) are the “air” that inflates our economic beach ball. From a market standpoint, economic reflations are usually wonderful things. Markets go up in concert, and the way to outperform is to add beta and be exposed to cyclical, growth-oriented sectors. During a normal reflation (the last one was in ’03-’06) everything goes up regardless of what else is going on in the world. However, this reflation is different. Eight years after the end of the financial crisis, our economic beach ball is only half full. That’s because we’ve pumped in the “air” of accelerating economic growth (GDP going from negative to 2.5%ish) but we haven’t pumped any “air” of inflation in, yet. Despite that, stocks are at all-time highs. Valuations are as stretched as any of us have seen them in decades. And, now we’re very late in the typical economic cycle. Given that, barring some big surprise on tax cuts or infrastructure spending, it’s unlikely that we’re going to see a material acceleration of economic growth. In reality, 3.5% – 4% GDP growth is quasi impossible given demographics in this country—specifically the large demographic of baby boomers entering retirement, and them being replaced by a smaller workforce. Getting back to our beach ball analogy, if inflation finally accelerates there will be a shorter time of euphoria—as the other half of our beach ball inflates. We got a hint of that in September. But given valuations, stock prices and economic growth all are at or nearing reasonable ceilings, the risk is that after a short bit, the “air” from rising inflation over inflates our economic beach ball, and a bubble (or multiple bubbles) develop and we burst the ball. Practically, what I’m talking about is the Fed hiking rates and inverting the yield curve, which would be our signal that the beginning of the end of this eight-year expansion is now upon us. From an advisor or investor standpoint, this creates a difficult set up. For now, we must continue to be invested and, potentially, allocate to the reflation sectors. Yet we also must do so knowing that unlike most revelations, we’re not going to enjoy an easy rally that lasts years. So, the now years-long game of market musical chairs continues, albeit with a potentially reflation accelerating the pace of the music. For shorter or more tactical investors, holding “Reflation Basket” allocations makes sense as we approach and navigate these upcoming events. For longer-term investors, we continue to await confirmation from the 10-year yield that this reflation truly is upon us. A few closes above the 2.40% level will be the signal, in our opinion, to rotate out of defensive names and into part or all of our Reflation Basket—Banks (KRE/KBE/EUFN), industrials (XLI), small caps (IWM) and inverse bond funds (TBT/TBF). Bottom line, at this point in the economic cycle, for stocks to move materially higher we need inflation to accelerate and cause that reflation trade, but weneed to realize that brings us one step closer to the ultimate “bursting” of the recovery. This market remains more dangerous over the medium/longer term than the low VIX would imply. 2) Explain why this reflation trade is different from others, and requires A) A more tactical allocation to get the outperformance we all want, and B) Greater patience on the part of longer-term investors before abandoning what’s worked so well in 2017 and allocating to more reflation-oriented sectors. Due to space constraints, I’m going to break this up into two parts covered today and tomorrow. 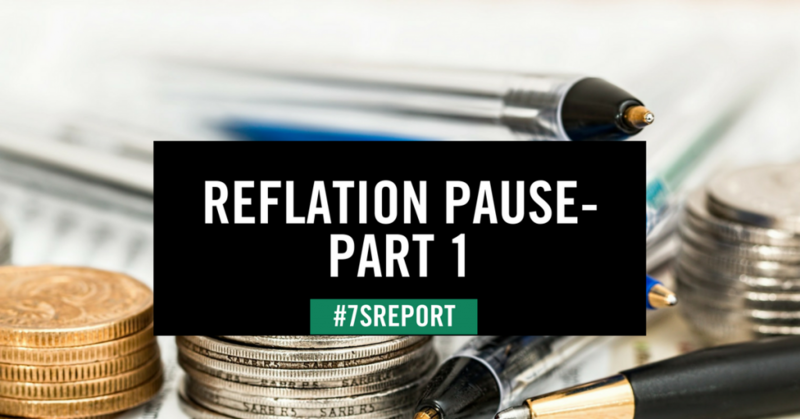 Reflation Update Part 1: Where Are We, and What Will Decide Whether It’s Going to Continue? Well, during the week between Sept. 11 and Sept. 15, Chinese, British and US CPIs beat expectations, and combined with an uptick in global economic activity, caused tactical investors to rotate into tactical sectors (banks, energy, industrials, small caps, inverse bond funds). And, we were early on identifying that switch, and our “Reflation Basket” has outperformed the markets since we re-iterated it for short- and medium-term investors in the Sept. 21 Report. However, also in that Report we cautioned longer-term and less-agile investors to wait for clear confirmation that the reflation rebound had started, and we identified two keys. The first was the KBW Bank Index closing above 100. This occurred both Monday and Tuesday. The second was the 10-year yield breaking above 2.40%.This has yet to happened. So, while much of the mainstream financial press is now pumping the reflation trade (a month after it started) we’re acknowledging that it’s paused. Practically, that means we’re holding (not adding to) our “Reflation Basket” of KRE/KBE/IWM/EUFN/XLI/TBT/TBF, and think shorter-term/tactical investors should too. I say that because I believe the first stage of this reflation trade is now complete, and in the next three weeks we will see two key events that will decide whether this reflation extends into November, pauses longer or potentially back tracks. Near-Term Reflation Catalyst #1: ECB Meeting. Thursday, Oct. 26. Why it’s Important: As we’ve covered, markets have enjoyed a “virtuous” reflation recently because 1) Economic data has been good, but 2) Not so good that it’s causing global central banks to hike rates faster than expected. Markets have a general expectation of what ECB tapering of QE will look like (somewhere around 20B per month) but we’ll get the details at this October ECB meeting. “virtuous” reflation. If that happened, banks and inverse bond ETFs would rally, but everything else would fall. Conversely, if the ECB is too dovish, then markets might lose confidence in the reflation itself, and that would become a headwind. Bottom line, the ECB needs to release a taper schedule that implies confidence in the economy and inflation, but that also isn’t so aggressive it kills the “virtuous” reflation rally. Near-Term Reflation Catalyst #2: Fed Chair Decision. The fact that President Trump will name a potentially new Fed chair in the next two weeks has been somewhat lost amidst the never-ending (and seemingly everescalating) Washington drama. Right now, it’s widely believed there are three front runners: Kevin Warsh, Jerome Powell and Janet Yellen. If Yellen is reappointed (and that’s seeming increasingly unlikely) then clearly that won’t cause any ripples in the reflation trade, and we can go back to watching inflation and yields. However, if one of the other two are appointed, things get interesting. Warsh is considered the biggest “hawk” of the group,and if he becomes Fed chair we may see yields rise sharply, potentially endangering the “virtuous” reflation. Powell is viewed as in the middle of the other two—not as dovish as Yellen, but not as hawkish as Warsh. But, it’s reasonable to assume that a Powell appointment would put at least some mild upward pressure on Treasury yields. It likely wouldn’t be enough to spur a killing of the “virtuous” reflation, but it would be cause for a pause in the move. Over the past month, we’ve seen some big policy turns at major central banks. • At its September meeting, the Fed shrugged off low inflation and reiterated its expectation for a rate hike in December, and three hikes in 2017, a more hawkish-than-expected outcome. • At its September meeting, the Bank of England shocked markets by stating that due to rising growth and inflation, rate hikes would likely be needed in the “relatively near term.” While it’s not certain, many in the markets think the Fed hikes rates in November. gram, the first step to eventual rate hikes (likely in 2H ’18). • The Bank of Canada quasi-shocked markets by hiking rates at its July and September meetings, becoming the first developed market central bank to execute consecutive rate hikes in over a decade. So, which one doesn’t belong? 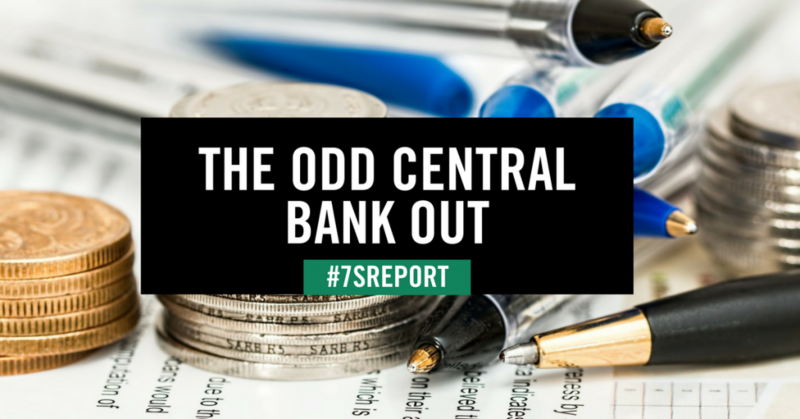 The BOJ is the “odd central bank out” in the global trend of less accommodation. I think that creates a potential opportunity in DXJ, the WisdomTree Japan Hedged Equity ETF. The logic behind this opportunity is simple: With global central banks become less accommodative, the yen should decline in value against its major trading partners. On a basic level, a weakened currency and supportive central bank are still good for stock market performance. So, if we see the yen weaken to 120 vs. the dollar and see similar declines against the euro and pound, that should be a respective tailwind on the Japanese stock market—just like it has been in the past. Now, clearly there are risks to this trade, particularly North Korea. But barring a surprise economic or inflation slow-down in Britain, the EU or the US, the trend in rates and those currencies is higher vs. the yen. That should be positive for Japanese stocks over the medium and longer term. Now, I realize that DXJ has run over the past month (as has everything), but the bottom line is that if dollar/yen goes from 112 to 120 (which is entirely possible if we see a “reflation” in the US) then DXJ will move substantially higher from here. 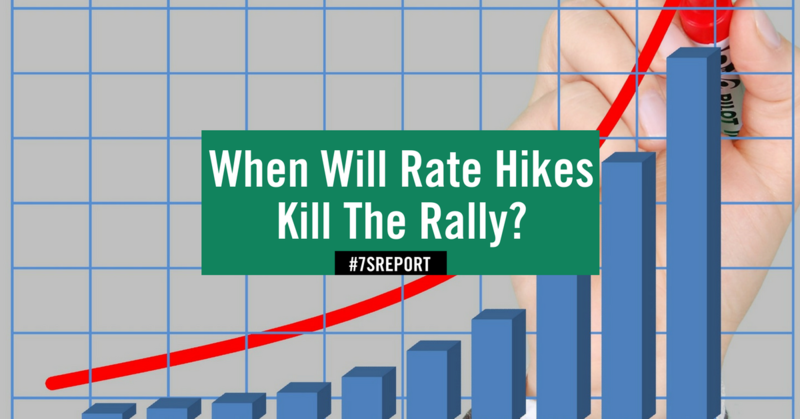 When Will Rate Hikes Kill The Rally? A lot of clichés on Wall Street aren’t worth the paper they’re printed on, but one saying I have found to be quite accurate is: Bull Markets Don’t Die From Old Age. It’s the Fed that Kills Them. First, the Fed starts raising rates because financial conditions have become too easy (this should sound familiar). In this cycle, rate hikes began in December 2015 but importantly, they are starting to accelerate. Second, those rate hikes cause the yield curve to invert. 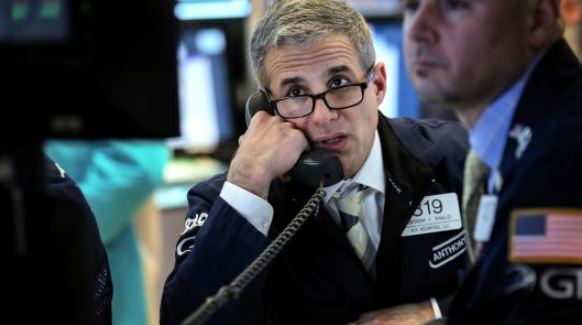 That happens as bond investors sell short-term Treasuries and send short-term yields higher (because the Fed is raising short-term rates), and buy longer-dated Treasuries, pushing those yields lower, because investors know the rate hikes will eventually cut off economic activity. In this cycle, the yield curve hasn’t inverted yet, but the 10s—2s Treasury yield spread has fallen from over 2% in late-2014 to fresh, multi-year lows at 0.77% (as of Sept. 5). Third, the inversion of the yield curve is a loud-and-clear “last call” on the bull market. The rally doesn’t end when the curve inverts, but it’s a clear sign that the end is much closer to the beginning. In this cycle: We are not at that inversion step yet, although we are getting uncomfortably close. Fourth, after the curve inverts, the Fed keeps hiking rates until economic momentum is halted. During the last two economic downturns (2001/2002 and 2008/2009) the Fed was able to hike rates to 6.5% and 5.25%, respectively, before effectively killing the bull market. But just as the Fed continues to cut rates after the economy has bottomed, it also hikes rates after economic growth has stalled (because of the lag time between rate hikes and the effect on the economy). So, it’s reasonable to assume the actual Fed Funds rate level which caused the slowdown/bear market is at least 25 to 50 basis points below those high yields, so 6% or 6.25% in ’01/’02 and 4.75% or 5% in ’08/’09. In this cycle, the most important question we can ask is: At what level of rates does the Fed kill the expansion and the rally? That number, which the Fed calls the “neutral” Fed Funds rate is thought to be somewhere between 2.5% and 3% this time around (at least according to Fed projections). So, common sense would tell us that this “neutral” Fed funds rate is going to be much, much lower than it’s been in the past. This is really important, because if the answer is 1.5%, we’re going to hit that early next year (it likely isn’t 1.5%, but it may not be much higher). And, what impact will balance sheet reduction have on this neutral rate? Again, common sense would tell us that balance sheet reduction makes the neutral rate lower than in the past, because balance sheet reduction is a form of policy tightening that will go on while rates are rising (so it’s a double tightening whammy). There are two important takeaways from this analysis. First, while clearly the tone of this analysis is cautious, it’s important to realize that the yield curve has not inverted yet, so we haven’t heard that definitive “last call” on the rally. And, just like at an actual last call, there’s still some time and momentum left afterwards, so an inverted curve is a signal to get ready to reduce exposure, not a signal to do so that minute. Second, on a longer-term basis, if the Fed really is serious about hiking rates, then this bull market is coming to an end, and the risk is for it happening sooner rather than later. Because the level at which rate hikes cause a slowdown and kill the bull market is likely to be much, much lower than anything we’ve seen before (unless there is a big uptick in economic activity). That is why I said yesterday that if the Fed is serious about consistently hiking rates going forward, that the “hourglass” may have finally been flipped on the bull run. So, while hitting that “Neutral” Fed funds rate Is hopefully at least a few quarters away (unless things are way worse than we think) it’s my job to watch for these types of tectonic shifts in the market so that we’re all prepared to act when the time is right. We will be watching this closely. https://sevensreport.com/wp-content/uploads/2017/09/Sevens-Report-Designs-5.png 628 1200 Tom Essaye https://sevensreport.com/wp-content/uploads/2019/02/sevens-report-research-logo.png Tom Essaye2017-09-22 07:58:122017-09-22 08:05:49When Will Rate Hikes Kill The Rally?